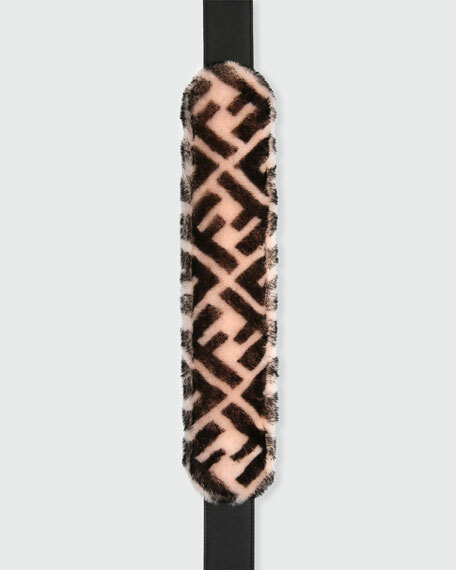 Fendi FF printed shoulder strap in dyed sheep shearling (Spain) and calf leather. 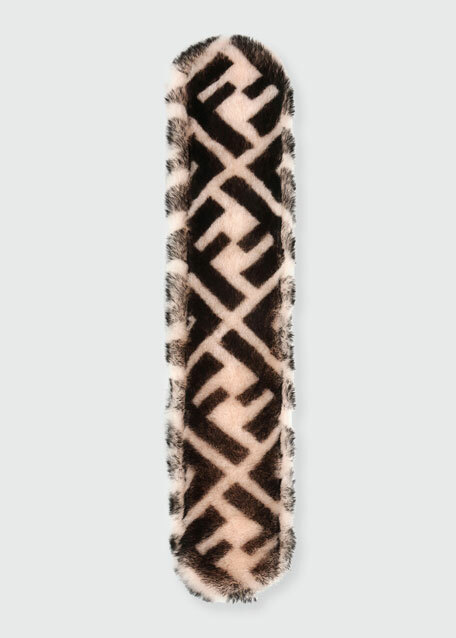 Can be used as strap for a variety of handbags. 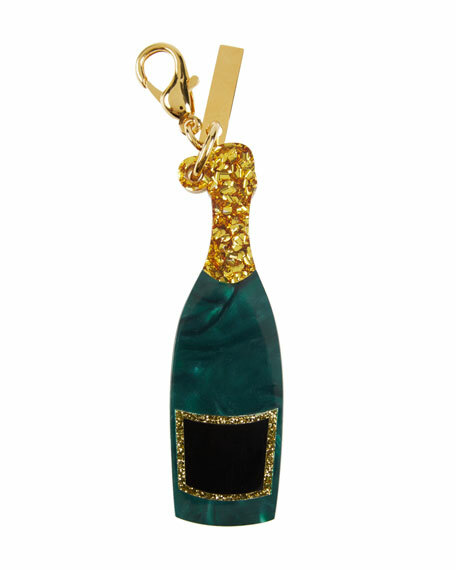 Edie Parker marbled and glittered acrylic broken heart charm for handbag. 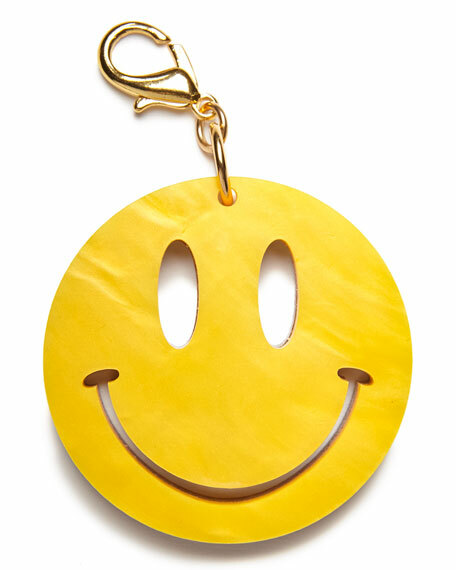 Hanging engraved-logo tag. Golden lobster clasp. Handmade in USA. 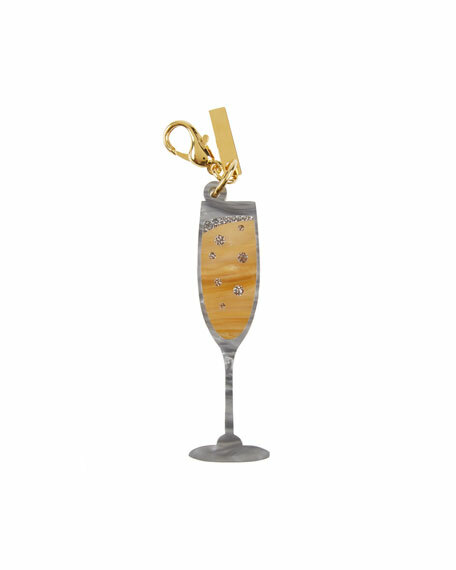 Edie Parker glittered champagne glass charm for handbag. In signature hand-poured acrylic. Hanging engraved-logo tag. Full glitter back. Lobster clasp. Made in USA.